Ellie Is Uhm ... A Bookworm: Cover Reveal for TYSON (Saint's #3) by Kathy Coopmans! 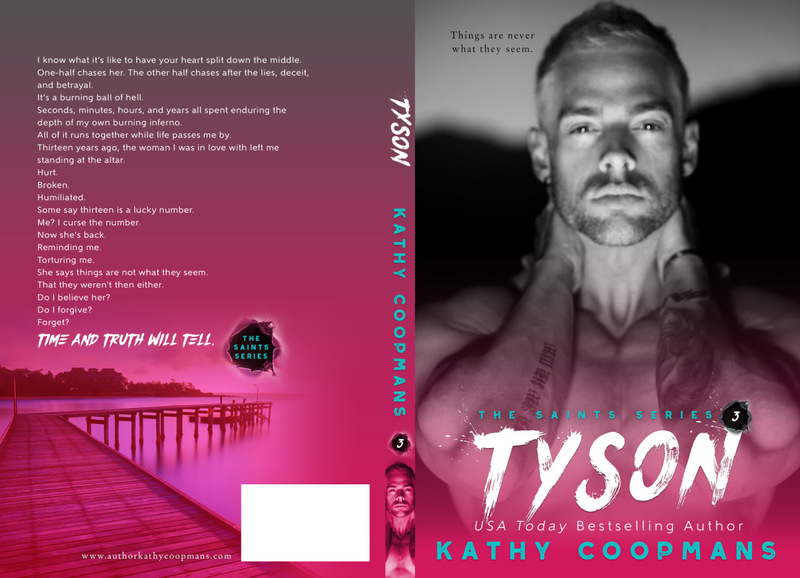 Cover Reveal for TYSON (Saint's #3) by Kathy Coopmans! ... to be released on May 22nd! WI know what it’s like to have your heart split down the middle.